Fines have a tendency to cling to everything and clog up our filters. With this little life hack you can drastically reduce the problem. In the world of specialty coffee, we often geek out over really complicated stuff, like extraction and TDS, in the hope that it will somehow magically transform our brews from mediocre to world-class. That’s why it’s so fascinating when somebody comes up with a really simple trick that has a massive impact. 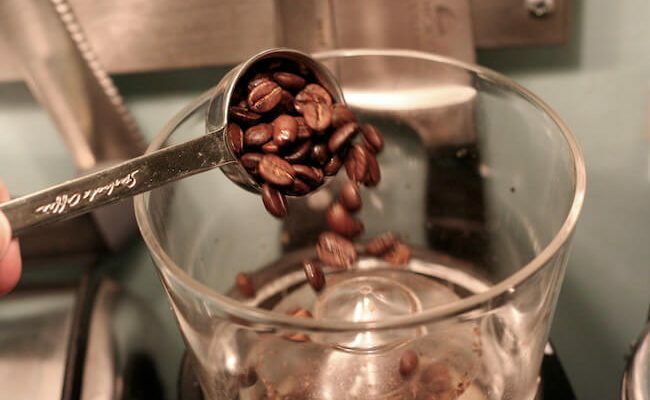 In this video, the former World Barista Champion James Hoffmann explains how adding a few drops of water, can help you get rid of static in your grinder. I love James Hoffmann’s content. Usually, he’s got a really curious attitude, and no problem questioning some of the many dogmas and superstitions in specialty coffee. I’d definitely recommend that you check out his blog, Jim Seven. 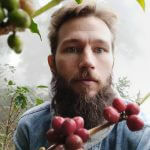 In the video above James gives credit to a coffee guy named John Ermacoff, but other coffee geeks claim that this is actually an old trick called the ‘Ross Droplet Technique’. Regardless of the name or who invented it, it’s a pretty damn neat trick – especially if you have a grounds bin that is prone to static. Just dip a spoon in a bit of water, and swirl it around between the beans before you grind them. Easy! At the moment I’m mostly using a hand grinder with a glass receptacle, so it isn’t really a problem for me in everyday grinding, but I know most people with electric grinders tend to have this issue with chaff clinging to the sides. Anyway, enough talk. Check out the video and let me know in the comment section if this trick has changed your life just a little bit. Further Reading: What’s the Difference Between Espresso and Coffee?